On the news they were talking about the 12 policemen that were ambushed by snipers in Dallas. Five died and seven others were injured. This happened during a rally about a police shooting. There was one last week in Minneapolis I heard about when I was up there where another person got shot and killed by police. I prayed and will pray for all the people who lost loved ones in this crazy world. It’s happening more and more. JESUS wants it to stop. The devil wants to always keep the prejudice alive in this country. He wants to get another civil war started only this time to have it with people against others of different color. The devil hates everybody and especially hates people who are living for JESUS and following JESUS. 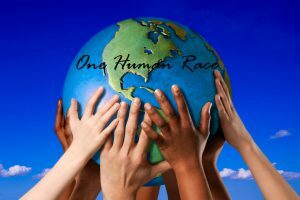 GOD made the human race, not people of different races or different colors. We need to stand strong as Believers of the Truth to reach the lost of every color. Don’t be afraid to talk to anyone and everyone about JESUS. We need to keep looking at the hearts of people like JESUS does. That’s what matters to JESUS. That’s what should matter to us. We have to stand strong for what we believe. We have to know deep down in our hearts that we believe the Truth. The Truth is the WORD. The Bible. JESUS loves everybody. JESUS heals everybody. HE delivers everybody. HE provides for all. The more we tell people about JESUS the more they will get a hold of HIM and HIS love. They will want to stop the hatred that’s out there. They will learn to love like JESUS loves. Are we that way? You know what a chameleon is. It’s a reptile that changes colors from its environment. But it always is a chameleon no matter what color it is. Humans are humans no matter color they are. They’re still humans that need to be told about JESUS and HIS plan of salvation. JESUS did all HE did for everyone here on earth. HE wasn’t picking and choosing who HE died for. JESUS wants everyone to decide whom they will serve. As for me and my house, we will serve the LORD. That’s the human race. It’s all about the choices we make. Do we want to be like JESUS and love everyone or do we want to pick and choose who we love and want to hang out with. Remember HE is no respecter of persons. It rains on the just and the unjust. HE treats everyone the same. Don’t matter who you are.